Are you looking for a way to change the way you communicate and act in the world for the better? Neuro-linguistic Programming (NLP) could be the method to transform your life. Founded on principles of psychotherapy, neurology and linguistic science, NLP was created by Richard Bandler and John Grinder in the 1970s. It is a comprehensive approach to personal development with a focus on behavior and communication. It is based on an understanding that the way you think, speak and act are all connected and all functioning in relation to your background and experiences — or your programming. The things that have happened in your life so far have affected the structures of your brain and the way you live in the world. But according to NLP, that programming can be changed. NLP is sometimes used to treat specific mental and physical disorders; including depression, anxiety, phobias, and low immune system. But it is also a useful system with which to change the way you think, and to help you in creating the life you want to live. You can use NLP to let go of limiting thought patterns and fears; to develop confidence and communication skills; and to cultivate characteristics that reflect the person you want to be. If you’re curious about NLP and interested in discovering how to get started, or if you already use NLP techniques and want to find out more about how it works, read on. 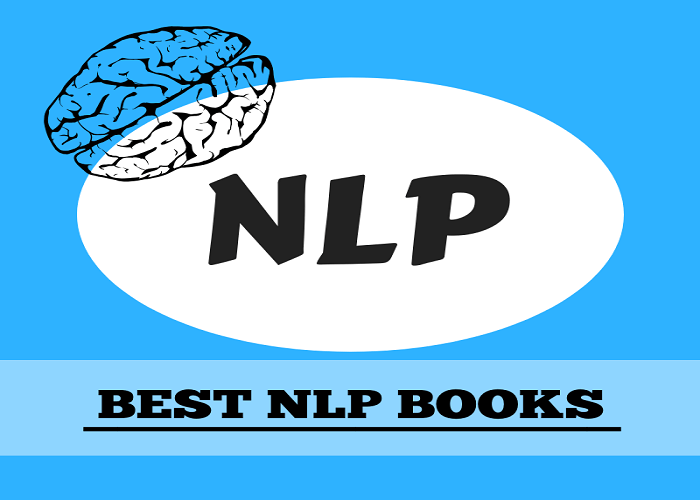 Here is a detailed list of the best NLP books for beginners and advanced practitioners alike. ​This book goes straight to the origins of NLP. It is written completely from the transcribed and edited audio recordings of NLP workshops given by Richard Bandler and John Grinder — incorporating their depth of knowledge with their unique teaching styles. Learn about the principles of NLP in a way that allows you to use them in your own life immediately. Read this for inspiration and motivation. ​Many books on psychotherapy and Neuro-Linguistic Programming are written in complex academic language — making them unenjoyable and difficult for most readers to absorb. This introduction to NLP breaks it down logically so that it can be understood and implemented with ease. It shares the background and definition of NLP without the jargon, and includes real life examples so that you can see how the techniques could impact upon your life. ​Tony Robbins is known around the world for his inspirational courses — and he’s a firm believer in the power of the mind. If you’re asking the question “Does NLP work?”, Robbins will explain exactly why it does. His success with NLP techniques is not just personal; he has guided thousands of people in taking control of their minds and lives by reprogramming the patterns in their brains and breaking down their limitations. This book is a handbook for transformation; you’ll learn how to figure out what you really want, and the steps to help you achieve it. ​This straightforward guide to NLP for beginners and seasoned practitioners is written by three experts in the field. It is an authentic and sincere handbook, laid out in an easy-to-digest way with no nonsense or marketing language. There are real examples of how NLP has changed people’s lives to give you a little extra nudge of motivation when you’re feeling low; and actionable, step-by-step instructions for utilizing NLP strategies for purposes specific to your personal goals. ​This new edition of the Big Book of NLP is even more detailed than the last. With over 350 guided techniques written in clear language for you to use. You will find the fundamental practices of NLP here, as well as advanced techniques — and new ideas — to use when you’re ready. This book is more comprehensive than the best NLP course out there, and well worth including on your reading list. ​In this text, Buchheit and Schamber share the scientific backing for NLP. It’s about how the brain works on a structural and elastic level; it is changeable, and its shapes and formations affect the way you think, feel and behave. Knowing this — and understanding how to change it — gives you the power to make choices about who you want to be, and what you are going to achieve. This is a great book for those who want to learn about neuro-linguistic programming from experts in psychology and psychotherapy. ​Why are you interested in NLP? What do you want to get out of improving your communication skills and changing the way you think? If you want to know more about this system in order to achieve goals in your personal life, or if you’re intrigued by the potential of NLP for business success, international NLP trainer Joseph O’Connor’s practical guide will meet your needs. He shares valuable insight from NLP research which highlights the unique qualities that all highly successful people share. And then he teaches you how to manifest those qualities yourself. ​As one of the founders of the neuro-linguistic programming method, Richard Bandler has an incredible wealth of knowledge to share. In this book he writes about something we all want to do: take control of our life so that we are not subject to the whims of others, and so we won’t be completely thrown off course by unexpected events. He includes contributions from NLP coaches Allesio Roberti and Owen Fitzpatrick to give you a fresh perspective on your life and autonomy. This is a perfect introduction to NLP for beginners. ​How does NLP work — is it effective, and is it safe? This book uses medical evidence, scientific research and individual anecdotes to explain how this technique functions and why it’s so powerful. It is written for doctors, nurses, therapists and other medical professionals — but nonetheless, the writing is accessible and it contains valuable information for anyone interested in NLP. The writers highlight the fact that up to half of all medical patients have symptoms which cannot be explained by conventional medicine; and so they have created a licensed NLP certification for medical practitioners. ​This revised edition of Sue Knight’s bestselling book contains everything you need to understand how NLP can apply to your life. It makes NLP simple: there is no mystery or confusion within these pages. Discover how particular techniques can make a difference to your day-to-day, and find out how to approach your personal development with clarity and a touch of humor. ​This ambitious introductory text is a must read for anyone interested in integrating NLP into their life. Each of its 21 chapters concentrates on a particular topic — with subjects including motivation, decision-making, parenting, and resolving grief. The topics have been chosen to be relevant to the lives of real people, and the techniques included with each chapter are unique and easy to use. You will gain insight into your own perspective on the world; even learning how you perceive time and how to shake off your old programming to take on a new way of being in the world. With these books to support you, it is possible to use NLP as positive force in your daily life. You will find out how real people with problems similar to your own have found peace, success and fulfillment using neuro-linguistic programming. NLP is both powerful and kind; it is gentle, and encouraging, and at its core it is about self-empowerment and never guilt. Within the system there are tried-and-tested techniques to overcome a host of challenges and problems — including relationship issues, abuse, and shame. Stage fright, phobias, and performance anxiety. Habits and addictions, and weight loss. And for those who are not trying to manage a specific issue, but who want to feel better and do better in their lives, NLP holds the key to success and confidence in every realm.